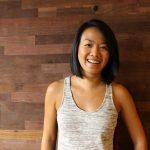 Ann joined Whole Whale in 2013 and has been making splashes since then in the areas of design, development, and A/B testing. During her time at Whole Whale, Ann has overseen site builds that include DREAM, the LAMP, and Donate Life America. Beyond website development, Ann has led the charge on work with the Peter G. Peterson Foundation, the One Love Foundation, Charitybuzz, Prizeo, and United Way ALICE. Ann is also the product manager behind Lighthouse by Whole Whale and is currently working with Power Poetry on their Poetry Genome. Ann is a regular speaker and lecturer on nonprofit tech topics, including appearances at the Strata Data Conference in both San José and New York, NTC, NYU, Columbia University, Sarah Lawrence College, the Lowline, and the White House.